Charleston Local Development Corporation (LDC): The LDC is a not-for-profit organization that lends money to small businesses in Berkeley, Charleston, Colleton, and Dorchester Counties. US Small Business Administration: Provides guidance on starting and managing a business, financing and Federal contracting opportunities, and training programs. 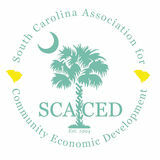 South Carolina Association for Economic Development: SCACED is a coalition that supports the development of healthy and economically sustainable communities throughout SC. The MicroBusiness Program provides capital to microentrepreneurs in underserved areas through a competitive grant program and delivers development services to help establish or expand microbusinesses. South Carolina Community Loan Fund: A nonprofit organization that finances the capital needs of community businesses including, but not limited to, retail stores and service businesses, wholesalers, and small manufacturers serving and employing low to moderate-income individuals.